! Atenţie - la Ediţia electronică numerotarea notelor bibliografice nu respectă întocmai numerotarea din ediţia originală. Se permite o singură copie pentru uz personal. Nu se admite copierea materialui pe alte situri sau publicaţii fără permisiune. 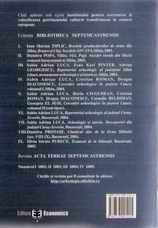 Material published in the Bibliotheca Septemcastrensis is covered by copyright. All rights are reserved under United States, European Union, Romanian and international copyright and other laws and conventions. Thank you for your interest in re-using copyrighted material originally published in Bibliotheca Septemcastrensis. Please contact Prof.univ.dr. 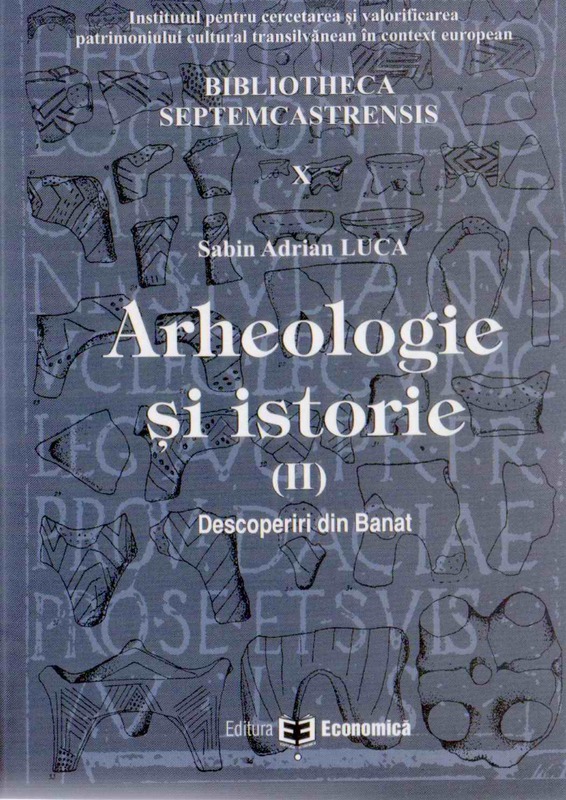 Sabin Adrian Luca (e-mail: sabinadrian.luca@ulbsibiu.ro) if you intend to use Bibliotheca Septemcastrensis materials on the other web sites or in other printed and electronically forms. You are free to make links to our web site. If you would like a book for personal use, please search at Bibliotheca Septemcastrensis, and then download or order a printed form of the desired book. We encourage you to download and print a single copy for personal use of Bibliotheca Septemcastrensis books for noncommercial personal or educational use only; provided that (i) any permitted copies of Bibliotheca Septemcastrensis contain, in an unmodified form, any copyright or other proprietary rights notices contained in the Bibliotheca Septemcastrensis and an original source attribution to Institutul pentru Cercetarea si Valorificarea Patrimoniului Cultural Transilvanean in Context European and the applicable URL, and (ii) no modifications of any of the Bibliotheca Septemcastrensis books are made except as may be expressly provided by Institutul pentru Cercetarea si Valorificarea Patrimoniului Cultural Transilvanean in Context European or the third-party provider on the Web page containing the applicable Bibliotheca Septemcastrensis books. 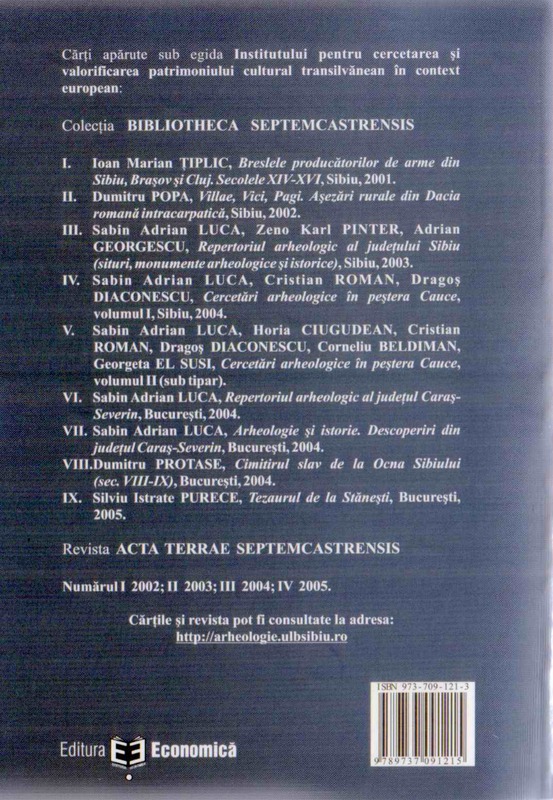 You acknowledge that Institutul pentru Cercetarea si Valorificarea Patrimoniului Cultural Transilvanean in Context European and/or third-party providers remain the owners of the Bibliotheca Septemcastrensis books and that you do not acquire any intellectual property rights in such Bibliotheca Septemcastrensis books by downloading or printing the Bibliotheca Septemcastrensis books for commercial purposes.